Take the Inntalautobahn (A12) motorway as far as the exit Kramsach. Travel left towards Brixlegg. Turn right at the first roundabout and left at the second, then continue to Reith im Alpbachtal. Follow the "Alpbacher Landesstraße" road for around 7km until you reach Alpbach. The Hotel Böglerhof is located in the centre of the village, next to the church. Take the Zillertalstraße (B169) main road to St. Gertraudi, then via Neudorf to Reith im Alpbachtal. 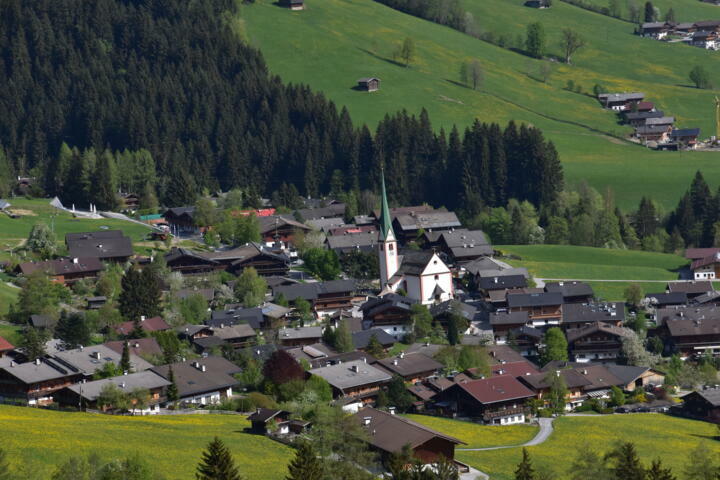 Follow the "Alpbacher Landesstraße" road for around 7km until you reach Alpbach. The Hotel Böglerhof is located in the centre of the village, next to the church. Tip: Our in-house underground parking with 48 parking positions makes it easy to arrive! Charge your E-Car for free! We installed 20 charging station at our in-house underground parking, which you as our guest can use for free! From the train stations in Innsbruck and Kufstein there are good connections to Brixlegg (if the train does not stop in Brixlegg you can also travel to Jenbach or Wörgl). From Brixlegg take the bus 4074 to Alpbach Inneralpbach. Alternatively, let us know and we will be happy to organise a taxi transfer to the hotel. Tip! Print out your reservation confirmation for your journey to the train station in Wörgl or Jenbach and travel free of charge on the VVT bus to Alpbach (and back).